This is the same worksheet as ANSWERING THE QUESTIONS just I have modified it in order to practice rooms and actions at home. There is one empty line and students should write the same sentence again in order to practice. Of course you can modify this worksheet according to your needs. Happy teaching! The above printable, downloadable handout is recommended for elementary school students at Beginner (pre-A1) and Elementary (A1) level. 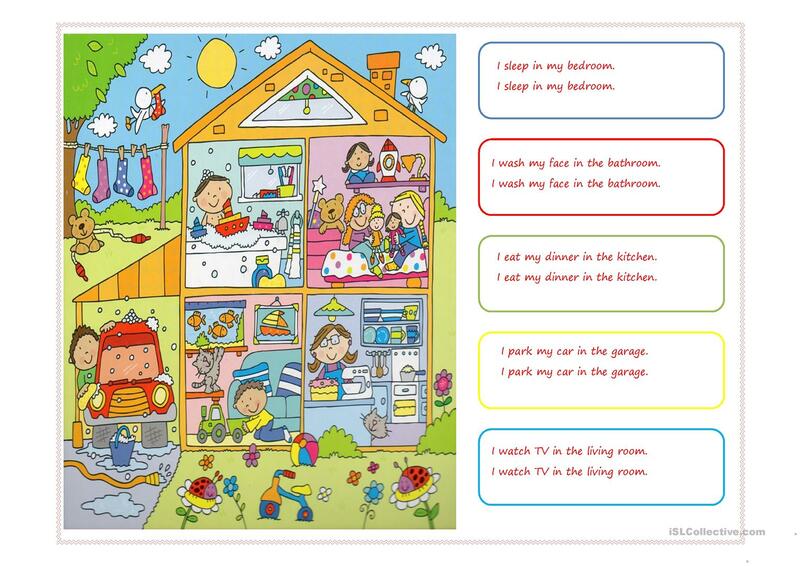 It is valuable for revising Prepositions of place in English, and is excellent for developing your students' Writing skills. It features the vocabulary topic of Home. You will find the answer key at the end of the worksheet.